One of the biggest myths I’ve heard in my 40 years as a dentist is that cavities are caused by soft teeth, and that the only deterrence is either fluoride or invasive, restorative dentistry. Your teeth are generally no softer than those of the person next to you. Enamel is enamel. But the salivary environment that is home to your teeth varies greatly due to nature and nurture. Diet and hygiene are the most important players in this mix. You can’t alter your genes, but you can control your lifestyle and impact salivary gland function. Saliva quantity and quality may decrease with age, but hydration and the avoidance of dehydrating agents will maintain a healthy pH neutral environment which buffers the constant onslaught by bacterial acids and acidic erosion. In my opinion, the single most effective tool you can use to prevent decay is to raise your oral pH to be slightly alkaline by regulating your lifestyle and rinsing frequently with an alkaline mouthwash. It is well accepted that raising pH from acidic to neutral is evidence-based prevention, the Ecological Plaque Hypothesis and CAMBRA risk analysis for young children and adults: Download here. The only sustainable way to raise oral pH is to kickstart your oral hygiene through a 5-day Alkaline Oral Cleanse. Many of us are already familiar with New Year’s resolutions and spring cleanses to detoxify our livers or lose weight. An oral cleanse incorporates many of the same principles and has many of the same systemic benefits, but it is tailored for the mouth, gums, and teeth, which are a unique environment that is the first line of digestive defense. The biggest enemy of teeth and gums are acid-causing foods, acidic beverages, and salivary dehydration. The benefits of an oral cleanse are immediately measurable. Your mouth will feel clean and breath fresher. 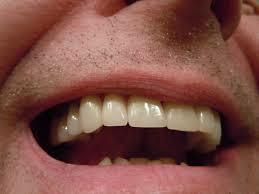 Enamel erosion occurs when saliva is consistently too acidic. Your mouth can become acidic because of certain medical conditions, not drinking enough water (which causes dry mouth), oral hygiene habits, and foods and drinks, you consume. Xerostomia, a reduction in saliva quantity and quality in geriatric populations, often leads to root decay. My goal is to teach both patients and professionals that natural, less invasive alternatives exist to traditional dental thinking. Rinse with neutral pH water, then record your saliva pH 3 times (in the morning, after lunch, and before bed) to establish a baseline of your pH. Make a list of all medications and OTC drugs, and check if they cause dryness. Make a log of your typical daily diet, including the amount of caffeine and alcohol. Make a list of any gastric reflux illnesses such as GERD. Cease smoking during the cleanse. Keep a written log of your oral wellness before/after cleanse. If you have a moderate to high-level on the CAMBRA risk analysis, then you will be more prone to decay. Your dentist or hygienist can help you, and there are insurance reimbursable codes for measuring saliva. Unless you suffer from a condition that leads to acid reflux, such as a gastrointestinal problem that may cause stomach acid to enter the oral cavity, neutralizing the mouth’s pH is pretty simple. Record your saliva pH 3 times per day during cleanse. Drink at least 4 glasses of alkaline water during the day and one ounce before bed. Water enables the salivary glands to produce more saliva, which keeps teeth clean and balances the mouth’s pH levels. Reduce the consumption of coffee, alcohol, energy drinks, and anti-histamine OTC products, which are dehydrating. Never drink alcohol or acidic beverages after dinner, because whatever you consume then sits on the bolus of food and will be the first to be regurgitated. Choose any alkaline cleansing diet that you feel comfortable using. Most alkaline-forming foods will work. (Reference 4/5). When consuming vinegar, kombucha and citric acids, drink through a straw and immediately buffer. Studies show that citric acids – such as lemons and oranges, as well as energy drinks and soda – erode tooth enamel when consumed consistently. Rinse immediately with an alkaline mouthwash to neutralize; if not available; use water. Get more calcium, magnesium, and phosphorus. Since minerals are the main component of tooth enamel, making sure to get plenty of it will help remineralize your enamel and keep it strong. Try eating foods that are rich in minerals. Supplement as needed. Managing Dental Erosion: Current Understandings and Future Directions. Constance Hillman, RDH, BS. Geza Terezhalmy, DDS. MA. P&G Professional Oral Health Symposium. Dr. Lewis Gross is the director of Holistic Dentists in Tribeca (NYC) and creator of Alka-white Mouthwash. Dr. Gross has provided comprehensive oral care since 1979. 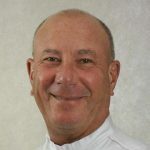 With extensive experience and an impressive educational background, he offers patients expertise and guidance on all matters related to oral health. He served as an Assistant Professor of Oral Pathology at his alma mater, Columbia University. In addition, he provided counsel to the New York City Medical Examiner’s Office.